Click Here to see what it's like to play in the ESSC's Legends 35+ Leagues! The ESSC is proud to offer a Legends 35+ League, Edmonton’s first and only co-ed sports league geared towards the needs of players 35 years old and up. With an emphasis on the ESSC’s motto ‘fun-first, winning-second,’ the goal is to bring 35+ players and teams together to play ‘Sports For Life’. These leagues are for Edmonton Legends only; all players must be at least 35 years old at the time of registration. 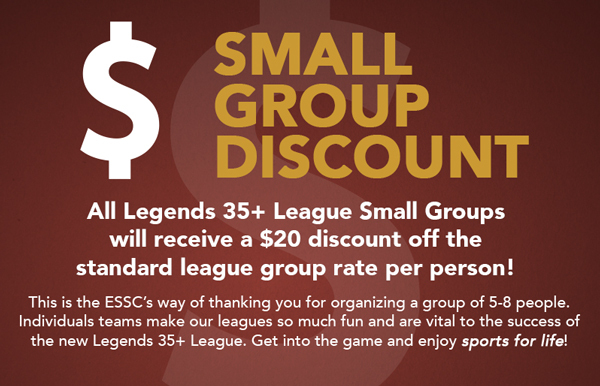 You can sign-up for any ESSC Legends 35+ League as a full team, with a few friends, or as an individual. 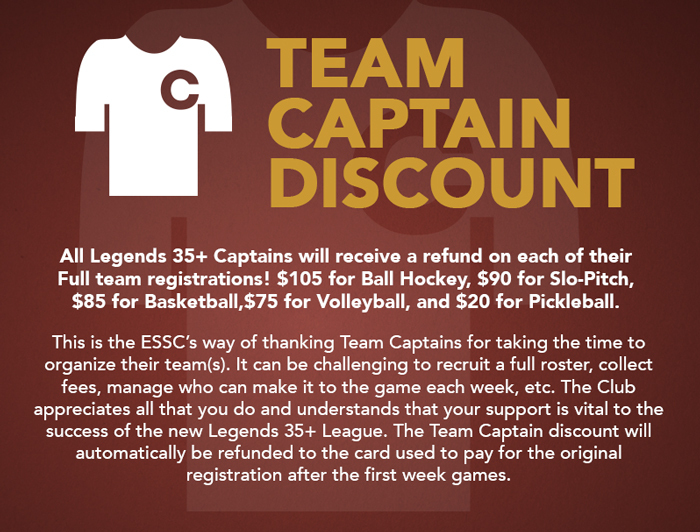 If you sign up with a few friends or as an individual, the ESSC will pair you with other Legends to form a full team. It’s a great way to be active and meet like-minded people! There are a variety of sports to choose from! Select any sport from the drop-down menu under the Legends 35+ heading to learn more. Registering is easy! Once you’ve decided which league you want to participate in, you can register and pay online, call and register over the phone, or visit us at our office. Please remember that all spots are filled on a first-come, first-served basis. The sooner you register, the better!